The S/V Arcturus welcomes you on the sailing adventure of a lifetime. Are you looking for the best sailing adventure charter where you participate in your own adventure? 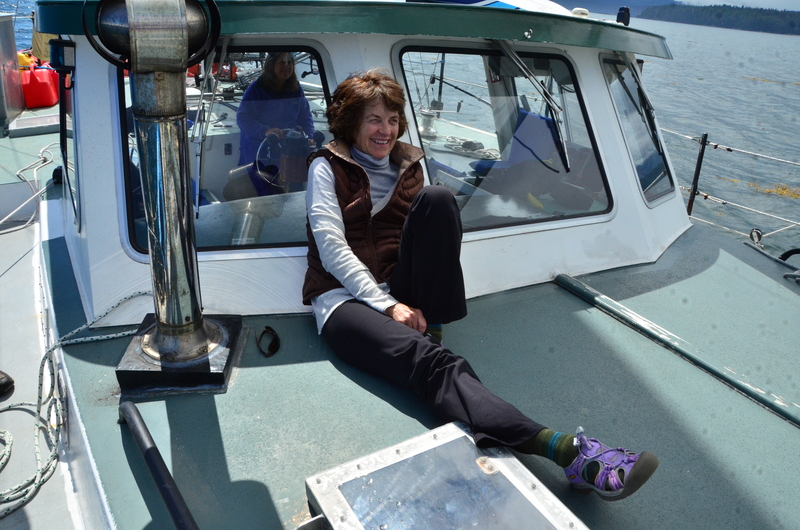 We put you behind the helm, sailing the Southeast Alaska Inside Passage on a warm & comfortable private sailboat, under the supervision of an experienced licensed captain. Explore the rugged Alaskan coast of the Pacific Ocean for the most memorable trip of your life. Whether you want to sail to the face of a glacier, explore Alaskan hot springs, or see wildlife, we have the trip for you! Southeast Alaska is home to mighty glaciers, hundreds of miles of shoreline and more wildlife than you can imagine. We specialize in creating the best custom sailing vacation possible. We do mild to wild and everything in between. We love to show people the best of what Alaska has to offer; whale watching, sea lions, puffins, humpback whales, killer whales (orca, blackfish), bears, glaciers and ridiculously large mountains! Get off the beaten tourist path, take an active role in you own Alaska adventure vacation and smell the ocean breeze. Let us make your Alaska adventure vacation dreams come true! Some of our tours include: Extreme Sailing School, Custom Surf Trips, Ultimate Fire and Ice: Glacier Bay & Hot Springs, Alaska Ship Wreck Scuba Diving, Treasure Hunting, Music Festivals & Cultural Events, Kayaking, Alaskan Photo Safari and Wildlife Viewing. We can accommodate families, groups of friends, small private weddings, intimate honeymoon adventures, scientific research parties, professional photographers and extreme sport enthusiasts. What a fantastic trip with Captain Hoock( yes his real name). Six of us went from Sitka to Juno in his 54 foot sailboat, which was both comfortable and sea worthy. Captain Hoock is a knowledgeable and expert captain who has a great eye for seeing the wildlife. He is a marvelous chef and even planned and cooked for two people on our trip who were gluten free. On our last day at sea he made crab (caught the night before in his crab pots) cakes Benedict. What a wonderful trip. I’m ready to go again! Multi-day trips cost $2,400 per day for the whole boat (up to 6 passengers) and include food, lodging and day activity’s. Extra passengers are never added to your private charter! All trips are in Southeast Alaska’s Famous Inside Passage and Coast. *Airline tickets, float plane tickets, ferry tickets, taxi rides, accommodations before or after trip, fishing license, alcohol, personal gear (like rain gear or rubber boots) are not included. Additional 30% charge to have your own room. Haines Winter Fest, Coot to Kat Ski Classic February 23th 24th. Sitka Gray Whale Migration Available End of March through April! Alaska Folk Festival in Juneau Alaska, April 8th through 14th. Glacier Bay National Park – Available March, April and May. Trip length 10 days. Haines Beer Fest and Petersburg Little Norway Festival – May 13 to 27th. Sitka Summer Music Festival + St. Lazaria Island puffins, Hiking and hot springs – Available June Average trip length 5 days. Sold Out! Heart of Alaska, Petersburg to Sitka or reverse. This trip will run June Through the end of August. Average trip length is 10 days. Hot Springs, Glaciers, Bears, Salmon and Whales ow my. Custom trips available late August and early September. Average trip Length 5 days. This trip starts and ends in the beautiful, quiet town of Petersburg. Petersburg is a very small town in rural Alaska, accessible from Juneau by ferry or plane. From Juneau, we will adventure along the Inside Passage where we will have unparalleled viewing of Humpback Whales bubble net feeding. This trip will typically end in Sitka. This is the ultimate Photo Safari, we will visit truly remote areas and see incredible things off the beaten tourist path. Virtually all whale watching and bear viewing in Southeast Alaska happens in 2 very specific places near Juneau. We will be on our own, in nature, far from the cruse ship tourism industry. Available daily at the rate of $500 per hour for the whole boat. This trip departs from and returns to Sitka at your convenience. Food, drinks and transportation to and from the harbor are not included but can be arranged. Available every evening at the rate of $500 per hour for the whole boat. This trip departs the Sitka Harbor around 6 PM and returns just after sunset. Food, drinks and transportation to and from the harbor are not included so BYOB. 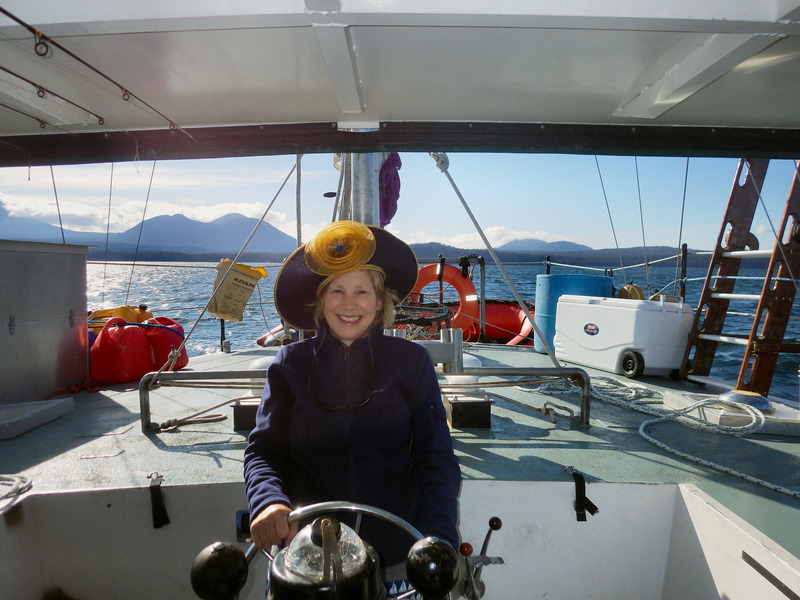 Sailing with Alaska Adventure Sailing is a fabulous way to see parts of inaccessible Alaska. Captain Hoock knows how to give a great tour. He has had years of experience, so I felt extremely safe. We stopped along our way to see wild life, fish, take hikes, sit in hot springs and kayak. Captain Hoock knows many secret coves and places we couldn’t have gotten to without this trip and his knowledge. He is also an excellent chef with gourmet food and even able to accommodate people with special diets. The cabins were comfortable, the food delicious and the sights spectacular. I highly recommend Alaska Adventure Sailing and plan to go again.